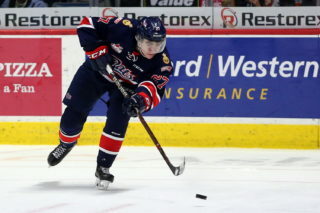 Regina, Saskatchewan – After a successful 2012 Training Camp, the Regina Pats are pleased to announce the signing of six prospects (three forwards, two defencemen and one goalie) to WHL Standard Player Agreements. Goaltender Patrick Gora, a 9th round bantam pick of the Pats in 2011 had a strong camp with the Pats before being reassigned after the Blue and White Game. Gora was lights out in the AMMHL last season featuring a 2.02 GAA in 20 games for the St. Albert Flyers. The future is now for Griffin Mumby as he hopes to be a part of the Pats defence this season. The 2011 3rd round bantam pick remains on the roster after training camp and will get his first taste of WHL pre-season action against the Brandon Wheat Kings this week. 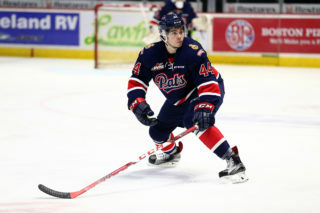 Bryar Ortynski is another young standout who has a crack at jumping on to the Pats roster in 2012-13. 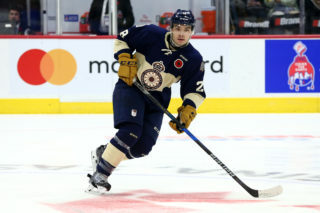 Selected in the 2nd round of the WHL Bantam Draft, Ortynski earned his chance to suit up in the pre-season showing a high compete level during training camp and not looking at all out of place alongside his more veteran teammates. Defenceman Rob Fulton was a 6th round pick in this year’s bantam draft. His already imposing size and physical play indicate a bright future for the Pats back end. Fulton also totaled 16 points in 23 games last year with the Camrose Vikings in the AMBHL. 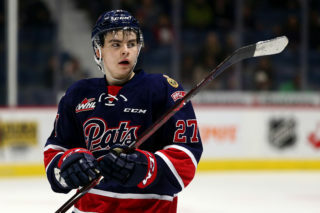 Notre Dame Bantam AAA product Rylee Zimmer turned heads at Pats camp. This year’s 5th round bantam selection put up 49 points in 45 games in the SBAAHL last season and will have gained plenty of confidence from a stellar weekend in Regina. Another 2012 5th round bantam pick, Austin Wagner followed up his solid 2011-12 season with the Calgary Sabres of the AMBHL (32GP, 17G, 10A) with an equally impressive training camp. Wagner plays with the confidence of a player with considerably more experience than he actually does. 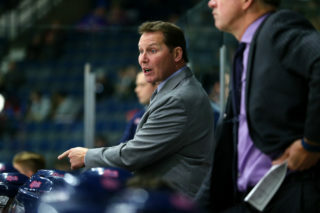 The Pats face the Wheat Kings in their first exhibition game, Thursday evening at the Cooperators Centre. Puck drop is seven o’clock.